Welcome to the Thrive Wiki! This is the primary content store for all things related to Thrive's development — team information, gameplay concepts, release planning, etc. 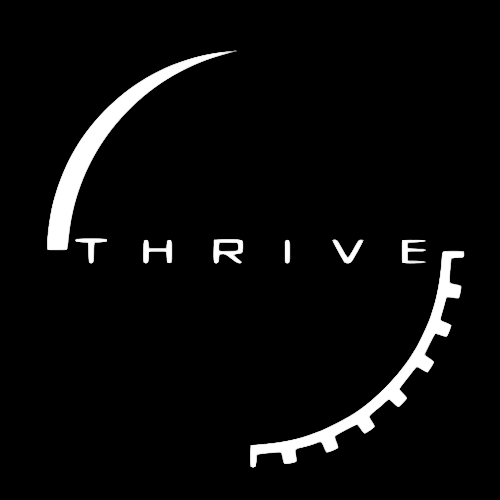 For fan-created documentation on Thrive (covering game help, community events and inside jokes), see our Community Wiki. Anyone can create or edit pages on the Community Wiki, but here editing is restricted to approved submitters (see Wiki Editing). If you're here to join the development team, head over to the Getting Started page. It will guide you through the process of how to join the team, what you can work on, and advice for your time here. It also contains plenty of links to important resources and explanations of other major concepts in development. We're a volunteer and open source project, so if you want to help make the game a reality we'd appreciate any help! If you want to help Thrive but you don't have skills to help with development, don't worry, you can still help! Check out the How to Help page to see how you can get involved. If you're not here to help development, or you are but want to learn more about the game, read on. Main Article: What is Thrive? 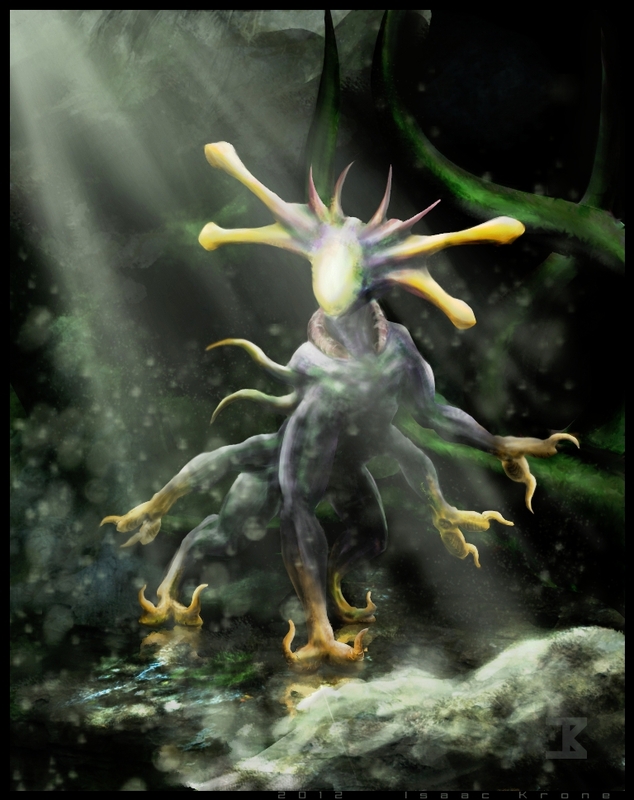 Thrive is a free, open-source game for PC and Linux about the evolution of life. From the lowly tidepools of your home planet, you will rise to cosmic dominance. At every step, powerful creation tools and deep simulation mechanics will aid your species’ development. Revolutionary Games is the open-source team of dedicated volunteers aiming to make Thrive a reality. Gameplay is split into seven stages – Microbe, Multicellular, Aware, Awakening, Society, Industrial and Space. Through each of these you will guide your species towards intelligence, sentience and the stars. Our team seeks to accomplish two major goals: create engaging, compelling gameplay that respects our players’ intelligence, and remain as accurate as possible in our depiction of known scientific theory without compromising the former. Revolutionary Games is the name of our development team. With a project as large and speculative as Thrive, it's necessary to have a centralized information storage system to help newcomers understand concepts and remind other members of past ideas. It should serve as a resource to refer to in development discussions and conversations with those inside and outside the Thrive community when someone asks about a specific mechanic. Pages should be kept updated by knowledgeable members as often as possible. For a voluntary team this can prove a challenge, but the benefits of having up to date documentation can't be overstated. This Wiki is a constant work in progress as new concepts are developed to add to or replace old ones. There are several major pages on this Wiki which are useful for introducing anyone to the Thrive concept and its development. If you want to get involved, it might be useful to read at least a few. We have many different FAQ pages across the Thrive network, and this page collates as many as possible. Though our most recent pages are listed on the Downloads page of our website, the Releases Wiki page goes into greater detail, including release notes and links to a version's accompanying trailer and Devblog. To finalize all concepts for the Microbe Stage, the first part of the game, we created a self-coherent document pulling together as many ideas created over the project's history as possible. This should be the go-to guide for game mechanics presented as clearly and in as much detail as possible. Everything is subject to change, but all changes must be added without disrupting other mechanics - if they do, these must be changed too. Based on ongoing discussions here, this page outlines what we think should be prioritized for near future updates. It also covers the release process, required outreach tasks when a new version is created and possible tasks for different development teams. Not just abbreviations, but all of the team's frequently used lingo explained for new members. A description of how the project started, how it got to where it is and where we hope it will go in the future. Not required reading by any means, but interesting if you're at all invested in Thrive. The eternal question of whether the team should accept some form of money. At the moment we work completely voluntarily with no financial compensation, but there have been frequent debates on what value the idea holds. None of them are over, but this page holds all collated arguments for and against. Our credits, showing everyone we'd like to thank for contributing to the game over the years. Instructions on downloading and running the game for troubleshooting. Guides on how to edit and maintain this Wiki for future editors, and how to become a Wiki editor. This is the center of everything Thrive-related. If you wish to tell anyone about us, link them here. The homepage lists all of our web presences and outlets, our FAQ covers several common game questions (those relating to development are covered in this document under FAQ), Get Involved provides information on joining and Downloads allows you to download the latest release. News is where we post Devblogs covering recent progress. We have two separate forums, each with a different purpose. The development forums are where the bulk of development takes place. It’s where game mechanics are discussed, assets are created and improved upon, and development-related announcements are made. Registration on the development forums is by invitation only, restricted to those who have submitted a successful application (see Getting Started). We use Discourse as our forum host. We understand its UI may be confusing at first, but there’s plenty of documentation available on its functionality, and we’re always happy to help new users confused about how to do something. Our community forums, on the other hand, are entirely open, with much laxer posting requirements. They have their own FAQ detailing posting guidelines. Anybody can discuss any part of Thrive they wish there, with the caveat that very little of it will be considered by developers. It’s also the place to post bug reports and respond to development updates. Developers are of course free to register on the community forums too and participate in less structured discussion, but it’s by no means a requirement. We use a private Slack group for much of our intra-team communication. All team leads are part of the Slack group, and new members can be added if they request it. Generally we auto-add programmers since they'll need direct help from others to understand the code, but all are welcome. Our policy for Slack use vs forum use is as follows: if a discussion or the eventual outcome of a discussion needs to be kept for future reference, it should take place on the development forums, otherwise it’s the poster’s choice. Conversations with idea spitballing and rapid back-and-forth are best within Slack, whereas long paragraphs with visual aids and in-depth analysis should take place on the forums. We won't enforce this in any way, we'd just like you to be aware when posting anything. The GitHub codebase contains the code for the game and hosts the release downloads. It is also what we use to track issues/tasks that we assign to people. Seasoned developers have full access to the code, whereas newcomers will have to request permission for each code edit via a pull request. A full readme on our GitHub structure can be found at the bottom of the main page. All the code is open-source (under the GNU General Public Licence) and assets are covered by CC-BY-SA. This means we encourage anyone to copy and modify our code and assets, but all adaptations must be shared under the same conditions (non-commercial, available for others to modify) and attribute the original source as Revolutionary Games. Anyone is free to fork our repository and create their own modified version – in fact, if someone makes a major improvement this way, we may ask for it to be integrated into the official code. The developer Wiki is the intended main knowledge base for game systems, mechanics and meta-structure. Notable pages include this one and our Microbe Stage GDD, which covers the current concept for the first stage of the game. Developer Wiki access is restricted but may be granted on request. The fan Wiki is so far underused, but it’s in place in anticipation of the future when a community develops around playing and exploring the game. Anyone is free to create and modify pages. Our other web presences are mostly social media outlets and don’t bear much relevance to development, but the main ones are listed here for convenience. More can be found on the main page of our website.